This page lists the topics and reading materials for Nevet’s Israel Current Events discussion groups. (For a review of the series, see A safe space for difficult discussions by Janis Siegel, JT News, February 12, 2014.) Please join the mailing list to be notified of upcoming dates & topics. Contact Nevet for more details. As a capstone of our series for the year, and to celebrate the 68th birthday of the reestablishment of the State of Israel, we will take a step back to look at the “big picture” of the country, its people, and its accomplishments. We will build a scorecard or “balance sheet” of Israel’s assets and liabilities, its strengths and challenges. What have been the keys to its success, and what is still ahead to accomplish? Finally, we will look at the role that we, as American Jews, play in the past, present, and future of the Jewish state. The Israel Defense Forces, Israel’s military, is considered to be one of the world’s strongest—and at times also highly controversial. Is it “the most moral army in the world” or guilty of war crimes? (What are “war crimes,” anyway, and how is appropriate wartime conduct defined?) In this discussion, we will examine the role of the IDF in Israel’s defense and also in its civilian culture. We will also consider the army’s conduct in the Gaza conflict, and in a more recent incident, the shooting of a stabber in Hebron. Is Israel more isolated than ever in the international community—or is it more engaged and working more closely with friends and (former) foes alike? (Or, can these both be true?) This discussion will examine Israel’s current place in the world, and its complex and multifaceted relationships with the United States, the European Union and individual European countries, states in Asia and Africa, and even Arab and Muslim countries in the Middle East and beyond. And how do these developments play out both in direct bilateral relations and in international institutions, like the UN and its agencies? Why have Israel and its neighbors been at war for seven decades? What is driving the hostility toward Israel from Arab countries and Palestinians? What part can we attribute to Jewish peoplehood, to the Zionist ambition, to the establishment of the modern state of Israel, and to the 1967 occupation? What must happen to overcome the differences and achieve peace between Israel and the Palestinians, or with the broader Arab world? How can these changes happen, and what is getting in the way? The tension between civil rights and security is not unique to Israel; Americans and Europeans face similar dilemmas. But in Israel, this balance defines the national political debate. It also is the target of various players, both domestic and international, who promote policies and try to influence government strategies in one direction or the other. In this session, we will consider some of the tough policy decisions that Israel faces, both at the macro level and in everyday actions, and their implications for both security and civil liberties. We will look at the role of activists, NGOs, and foreign governments, in the context of recent developments and new proposed legislation. North American college campuses have become increasingly hostile environments to Israel, and sometimes even to Jewish students. What is happening in the classrooms, with student activists, and with faculty members’ academic associations? How much of this hostility is driven by disagreements with specific Israeli policies vs. delegitimization of the basic notion of a Jewish state? How is it helping (or hurting) the Palestinian people and the quest for peace? Who is responding to this troubling trend, and what are they doing to address the issue? Israeli Prime Minister Benjamin Netanyahu met with President Obama at the White House on November 9. Have the two leaders gotten past their differences over the Iran deal, or is there still bad blood between them? What is the status of the security cooperation, trade ties, and diplomatic relations between the two long-time allies? How do the American public and the U.S. Congress relate to Israel—and how do election-year politics influence the discourse? In the last few weeks there has been a dramatic escalation in violent attacks in Israel. Palestinians, mostly youth from East Jerusalem, have stabbed, shot at, stoned, and rammed cars into Israeli civilians. Is this a spontaneous eruption of rage, or another orchestrated uprising? Why is it happening, and how is it different from previous rounds of violence? How are the international media reporting and portraying the events? How are Israelis, and the Israeli government, reacting—and how would you advise them to respond? In this month’s session we’ll explore the latest developments and broader trends from the turbulent region. Who is fighting whom in Syria’s civil war? What is going on in the aftermath of the Iran nuclear deal? Why are refugees and migrants streaming out of the Middle East and into Europe? Where is happening in Turkey, Egypt, and Saudi Arabia? What does it mean for Israel, for U.S. policy, and for the peoples of the Middle East? In the inaugural session of this season, we will examine the agreement reached between Iran and six world powers regarding the Iranian nuclear program. What does the agreement actually say, and why is it so controversial? Who is supporting it, and who is opposed? What is the current status, and what happens next? What is the vote pending in the U.S. Congress, and what will be its consequences? If the deal is voted down, what might happen? What does the deal mean for the Middle East, for Israel, and for the U.S.-Israel relationship? In this conversation, we will attempt to get beyond the passions and politics and focus on the substance of the deal and its implications. This month we will take a bird’s eye view of the latest events in the region. New developments shed light on the Iran nuclear framework. Battles rage in Syria, Iraq, and Yemen. Benjamin Netanyahu is struggling to build a governing coalition. Russia will transfer sophisticated missile systems to Iran. What does it all mean? What are the broader themes and trends, and where might they lead? Contrary to predictions, Israeli Prime Minister Benjamin Netanyahu won reelection on March 17. We will review the Israeli electoral system and discuss the implications of a third consecutive Netanyahu term. Why were the polls so wrong? Who are Netanyahu’s likely coalition partners? What might the new government mean for Israeli policies, the U.S.-Israel relationship, and the prospects for a two-state solution? In the second half of the discussion, we will examine the agreement reached in Lausanne, Switzerland on April 2 over Iran’s nuclear program. What was agreed, and what does it mean? What are the main arguments in favor of the deal, and the main arguments against it? What happens now? Once again we will review and examine events affecting Israel and reshaping the Middle East. We will also analyze Netanyahu’s speech to Congress and its main theme, the Iranian nuclear threat and potential pending agreement, and preview the upcoming March 17 Israeli election. From Yemen to Paris, Tehran to Geneva, Washington DC to Argentina, dramatic events are unfolding in the Middle East and the world around it. In this month’s session, we’ll examine some of the dynamics and major trends affecting Israel and reshaping its region. The Palestinian Authority is once again embarking on a diplomatic initiative to gain international support for Palestinian statehood. Various European parliaments have passed resolutions recognizing Palestine as a state. Mahmoud Abbas, president of the Palestinian Authority and chairman of the Palestine Liberation Organization, is preparing to join the International Criminal Court, while the UN Security Council is considering a timetable for Israeli withdrawal from the West Bank. What does it all mean? Does the internationalization of the conflict support or undermine the prospects for an independent Palestinian state? Is a two-state solution still feasible, and if so, how can it best be accomplished? Benjamin Netanyahu’s coalition government collapsed this week amid controversy over the proposed “Jewish State” law. What is this law, and why is it so problematic? What happened to the governing coalition and why is Israel going to new elections on March 17? We will also consider the nuclear negotiations between the Islamic Republic of Iran and the “P5+1” (the 5 permanent members of the Security Council—the U.S., Russia, China, Britain, and France—plus Germany). Where have these discussions gotten in the year since the interim deal, known as the “Joint Plan of Action”? What has been achieved, and why were the negotiations extended again? Have Iran’s nuclear ambitions been successfully curbed, or are the mullahs laughing all the way to the bomb? What does this all mean for the U.S., Iran, Israel, the region, and the world? From Tunis to Tehran, from Sudan to Syria, the Middle East is in turmoil. What ever happened to the Arab Spring, which was supposed to bring political freedoms and civil rights to the long-oppressed peoples of the region? Why are states failing and what will happen to them? What are the major trends shaping the Middle East, the new alliances and alignments? Who are the good guys and the bad guys, and what does this all mean for Israel? This month continues our discussion of Operation Protective Edge, the recent Israel-Hamas conflict in Gaza. (If you missed Part 1, you’re still welcome; we will include a brief review, and each session stands on its own.) In Part 2 of this topic, we will examine a few more of the untold stories: The role of the media; the humanitarian situation in Gaza; and reactions from Israelis, Jewish communities worldwide, and anti-Israel/anti-Jewish forces. We will also consider the winners and losers from this conflict, and look toward possible future developments. Welcome to the fifth year of the Israel Current Events series! We all saw the images of the devastation and despair in Gaza during and after Israel’s month-long operation against Hamas. Nevet was in Israel for much of this time, and witnessed other things as well—aspects of the conflict that were not widely reported and recognized in the Western media. She will fill us in on the untold stories of Operation Protective Edge: The rockets and tunnels, Israeli solidarity, and a frank discussion of civilian casualties and the IDF’s actions. We will also consider the winners and losers from this latest conflict, and some of its longer-term implications. Conversations about Israel can be awkward, whether in social settings, professional situations, or even casual encounters. How can we engage others, including those who have different opinions from ours, without being either defensive or argumentative? When should we speak up, and how? What do we do when we don’t have all the facts, or when we disagree with Israeli policies and official positions? In our final session for the year, we will consider and discuss some principles for effective advocacy—including many useful tools not only for discussions about Israel, but for any situation where we want to influence others. Secretary of State John Kerry is wrapping up his 9-months timetable for Israeli-Palestinian peace discussions. What has been accomplished during this time? What are the key issues in the negotiations, and where are the major differences between the two sides? Are the parties closer to an agreement—or perhaps a framework for an agreement?—or as far apart as ever? What is the real story about prisoner releases, settlement construction, Jonathan Pollard, and the recent Fatah-Hamas reconciliation? What are the roles of the U.S. and the Arab League in the negotiations? In the media and public discourse, Israel is sometimes portrayed as a pariah state, a violator of human rights and international law, and sometimes—preposterously!—as outright evil. Why does Israel have such a problematic image? How much of the criticism falls under the category of legitimate debate, how much is misguided naïveté, and how much is outright, malicious lies? How can we tell the difference? What are some possible responses when we see and hear incomplete, inaccurate, or unfair portrayals of Israel? We’ll examine some of the most common critiques and consider different possible responses and potential ways to address them. We will continue our discussion about the delegitimization of Israel and the “Boycott, Divestment, and Sanctions” campaign. (If you attended February’s session, this is your chance to dive deeper, and to get your questions answered. If you did not, don’t worry, we’ll summarize the key points again.) What makes the boycott, divestment, and sanctions (BDS) movement so egregious? How does it play out right here, in our own community? How can we clearly distinguish between antisemitism (even if dressed up in more “sophisticated,” politically-correct language) or anti-Israel propaganda and legitimate debate? When and how should we engage in the debate? How might we respond to legitimate concerns, to naïve criticism, and to blatant bigotry? This month we’ll explore the international campaign to vilify Israel. When does criticism of Israel cross the line from legitimate debate into denial of the country’s very right to exist? How are anti-Israel players using the legal system, commercial boycotts, celebrities and performers, and most recently, academic associations to challenge and undermine Israel’s legitimacy? What is the “Boycott, Divestment, and Sanctions” (BDS) movement? Who is behind it, and what are their goals? Is the anti-Israel campaign anti-Zionist, pro-Palestinian, or anti-Jewish—or perhaps all three? And what are some potential responses and strategies to thwart these attacks on Israel’s legitimacy? This month we’ll revisit the issue of the Jewish settlements on the West Bank. Whose land is it, really? Why are these communities so controversial? We’ll consider Jerusalem’s Jewish Quarter, suburbs of Jerusalem, Efrat, Ariel, Hebron, and Migron—what do they all have in common, and how are they different? Why should or should not Jews live in these places? We will consider the arguments on both sides of the debate and look at some options for resolving the question in the context of a two-state solution. On November 24 in Geneva, the P5+1 nations and Iran reached an interim agreement regarding Iran’s continued program. What is the agreement and what does it accomplish? What did Iran agree to do, and what will it get in return? Why is it controversial? Who is supporting this deal, who opposes it, and why? What are the short- and long-term implications for Iran, for American foreign policy, and for the broader Middle East? This month we’ll explore what it means to say that Israel is a “Jewish state.” Is Judaism Israel’s state religion? (What is a “state religion,” anyway?) What is the role of Judaism, and religion in general, in the Israeli legal, political, and social systems? 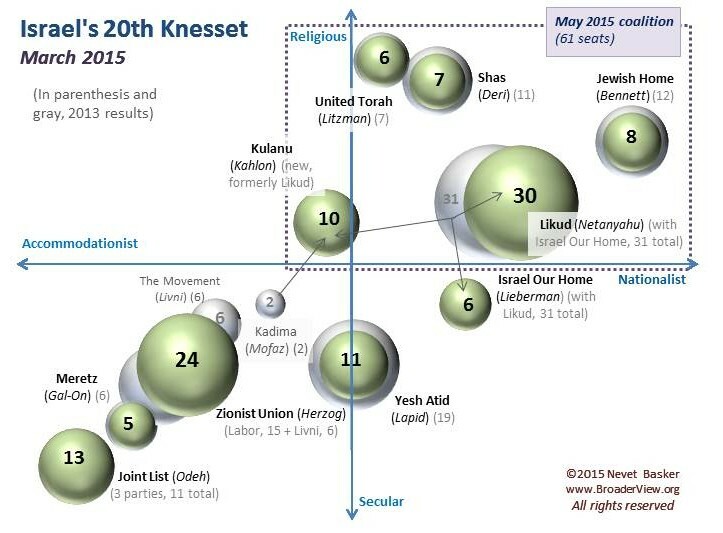 Is there a conflict between Israel being Jewish and democratic? What are the implications for Israel’s non-Jewish minorities? And how are the different denominations or streams of Judaism regarded and treated? We will kick off our new series with a survey of the current situation in the Middle East and in Israel. What is happening in the region—Egypt, Syria, Iran, Turkey, Lebanon and Jordan—and what does it mean for U.S. interests and for Israel? What are the implications for Israel of the civil war in Syria, the counter-revolution (if that’s what it was) in Egypt, and the new government in Iran? What are the immediate and long-term challenges, threats, and opportunities in the Middle East? In honor of Yom HaAtzma’ut, Israel’s 65th Independence Day, we will take a pause from political and controversial topics and look at Israeli people and culture. Why has Israel been labeled “Start Up Nation,” and what made it that? What do its areas of innovation tell us about Israeli society and its values? What is special and different about Israel in the region and in the world? What is your personal experience with the Jewish state? This month we will debrief on President Obama’s visit to Israel, Jordan, and the Palestinian Authority. What was the context for his visit? Where did he go and why? What happened and what was accomplished? And what does it all mean for the bigger picture about the U.S.-Israel relationship, the peace process, and the future of the region as a whole? A key sticking point in the Israeli-Palestinian conflict is the status of the 1948 Arab refugees and their descendents. Who were these refugees and how did they become displaced? What has happened to them in the intervening 65 years? What does their demand for a “right of return” mean? What are the roles of the Arab states, the Palestinian leadership, and the UN in perpetuating their status? How do they compare to the other population of 1948 refugees, Jews expelled from Arab and Muslim lands?And how are they different from all other refugees anywhere else in the world? How can their plight be resolved? How does Israel’s political system work, and how is it different from ours? Who were the winners and losers in this election? Who are the new players and what drove their success? Who are the most likely coalition partners, and what are the implications for Israel’s policies? Has the Israeli electorate shifted to the right, as some analysts had predicted, or is Netanyahu weakened, as others claim? This month we will revisit the controversial issue of Jewish settlements on the West Bank, considering the thousands of new housing units recently approved for construction in the “E-1” area. Are these settlements a legal and historical right, as many on the right claim, or an obstacle to peace, as those on the left believe? Or something in between? Whether you support or oppose the settlement endeavor, please come prepared with your best arguments for your viewpoint. You may find new support for your opinion, or gain some appreciation for the other side in the debate. Either way, it’s sure to be a lively interactive discussion! New season! This month’s “hot” topic is Iran’s nuclear pursuit. As Iran continues its path toward obtaining nuclear weapons, the debate in the West intensifies. What have the diplomatic initiatives accomplished? What has been the impact of economic sanctions? What more can be done to stop Iran from acquiring the world’s most dangerous weapons? What are the official U.S. and Israeli positions on this issue, and why are they different? Iranian Uranium by Irwin N. Graulich, JewishIndy, February 29, 2012: A very hard-hitting (and completely not politically correct) analysis and prescription.